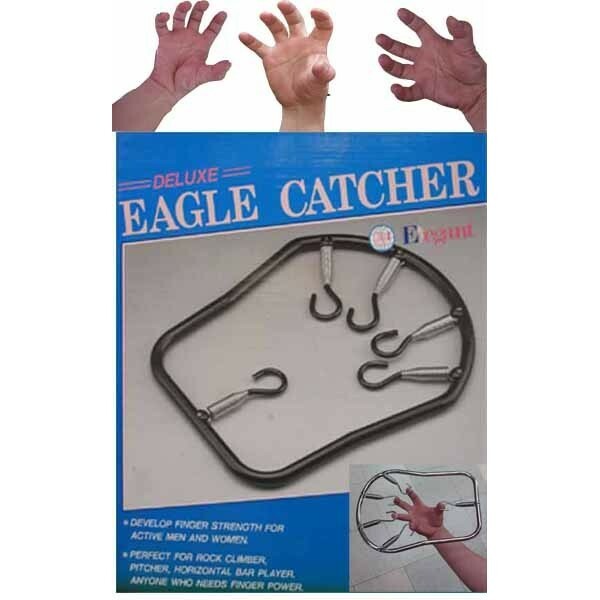 Eagle Catcher - Bok Lei Po Trading Inc.
Eagle catcher-strengthern your fingers and thumb, spring tension is the key to build power in your hands and fingers. Flex each finger individually for maximum conditioning and increase coordination skills. the hardest way to do it is with your finger tips. especially, it is good for eagle claw, tiger claw, chin na and any other styles need to have a strong finger grip.